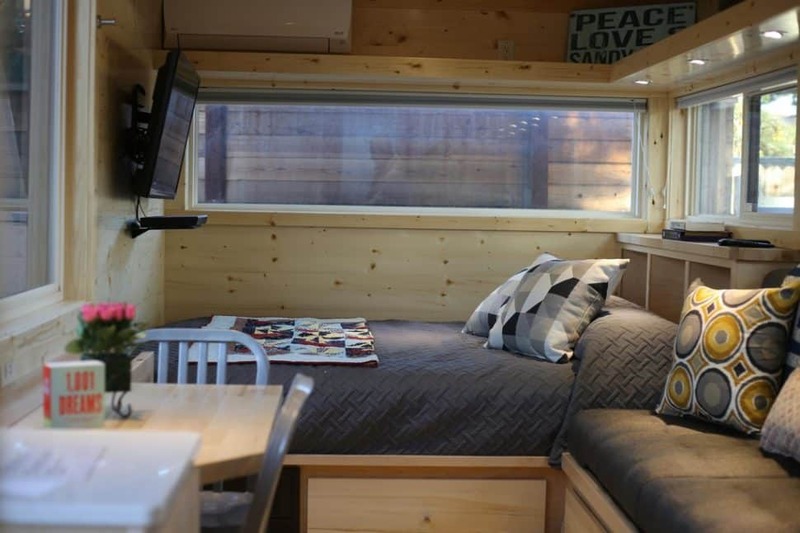 You can rent this 182-square-feet Tiny House in the Wrigley neighborhood for $1,625 a month. 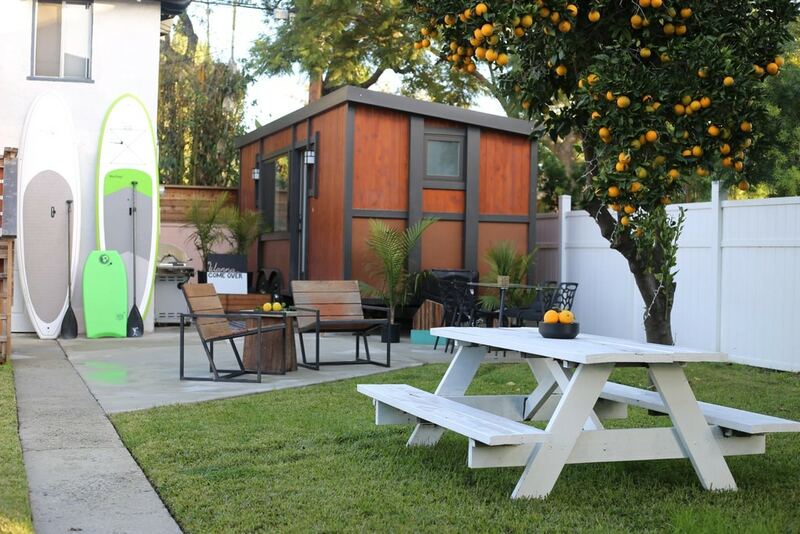 Rent this luxury shed for $1,675/month: Really, how much space do you need? Welcome to a special Friday edition of Real Estate Monday. We had to rush this into print, or pixels, or whatever, because at this price, this property won’t last. For just $1,675 per month, you can rent an “amazingly private, stylish, fully furnished Tiny House” on Daisy Avenue in Long Beach’s Wrigley District. And already your seller is off to the hyperbole races, because “amazingly private” to some of us means you can’t even see your nearest enemy. Your definition certainly doesn’t stretch so far as to mean that you’re living in someone’s backyard. And when they say it’s located in a “walled garden section.” There’s a fence, a citrus tree, maybe a half-dozen potted palms and some grass. It’s nice, but it’s a good eight plants shy of a garden. It’s unclear how often the people in the Big Giant House in front spend time hanging out in your slice of paradise. But you won’t want to hide in your house because at 182 square feet of living space, it barely has room for a full-size person to fight for room among a houseful of square-feet-gobbllng amenities that includes a queen-size bed, a full-size shower, a couch, a flip-top desk, a mini fridge and a microwave. Stove? No, Wolfgang, it doesn’t have a stove. It has, as we said, a microwave. A queen-size bed and flat-screen TV are included in the rent. The house is, admittedly, nicer looking than your basic Rubbermaid storage shed, although if you want to go that route, we can hook you up with an unfurnished one for $618. It’s 312 square feet and you’ll know the pride of ownership. You’ll also rattle around in it like a BB in a rain barrel. And this Wrigley Tiny House is actually pretty cute with some cool innovative space-saving designs. But they’re merely innovative. It takes full-on heroism to make 182 square-feet livable for one person, and forget about two people. There’s not even enough space for a cordial argument.